In this sweeping and deeply imagined historical novel, acclaimed classicist Victor Davis Hanson recreates the times and wars of one of the greatest generals of ancient Greece. Though he is little-known today, the Greeks and Romans acclaimed Epaminondas of Thebes as the greatest man their worlds produced. In the pivotal battle of Leuktra (371 BC), Epaminondas led an army of Boiotian Greeks that shattered a larger—and far more feared—force from Sparta, the mighty city-state that had dominated Greece and held the people of Messenia in slavery for some two hundred years. The next year, the firebrand general led a coalition of Greeks that overran Sparta, brought the warrior state to its knees, and built democratic cities for Sparta’s former serfs. We follow these epic historical events through the eyes of Mêlon, a farmer who has left his fields to serve with Epaminondas—swept up, against his better judgment, in the fever to spread democracy even as he yearns to return to his pastoral hillside. With a scholar’s depth of knowledge and a novelist’s vivid imagination, Hanson recreates the ancient world down to its intimate details—from the weight of a spear in a soldier’s hand to the peculiar camaraderie of a slave and master who go into battle side by side. 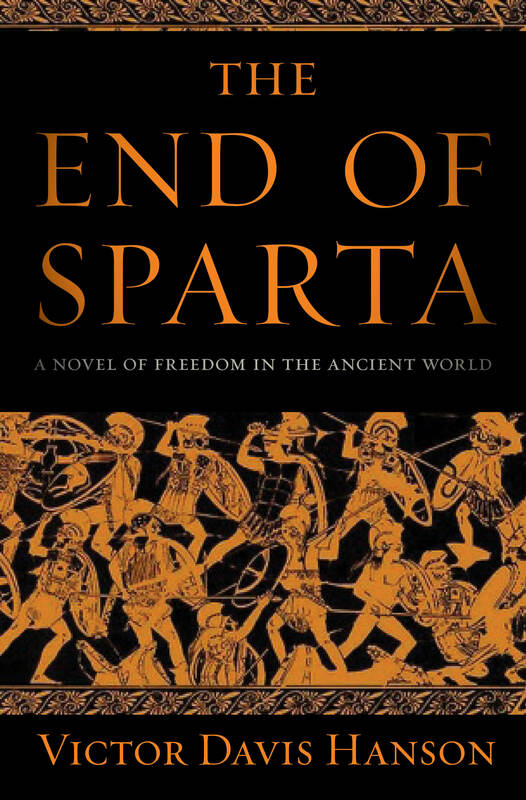 The End of Sparta is a stirring drama and a rich, absorbing reading experience.